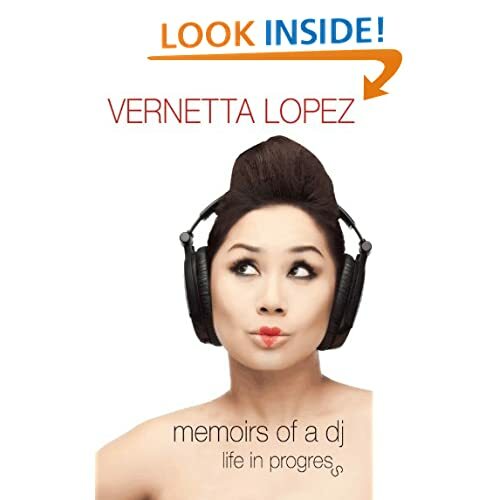 Just finished reading the book by our own celebrity radio DJ, Vernetta Lopez and I have to say it was a good read. It was good in the sense that after reading the book, I got to know someone whom I have grown up with, albeit the fact that we have never met nor known each other. I still remember that jingle till this very day. It was a time when radio programs end at 12 midnight, with the national anthem signalling closing shop followed by a wall of static silence. Then came Zoo 101.6 FM from Batam who were playing all the latest hit songs and if I remembered correctly, they were the first to play 24/7. I remembered all the DJs have animal names like Andy Lion and Joe Monkey. It was a fun station to listen to. The only relatively happening (I stress the word "relatively") local station back then was Radio One which is today known as Gold 90.5 FM. My fondest memories of that station was Saturday Spin. The Burger King sponsored radio show was hosted by the very talented Roger Kool every Saturday from 12 to 1 pm, of which I tuned in to religiously. Then came JC2 when Perfect Ten 98.7 FM was launched to rival that and take all the young Singaporean listeners back to the island. Singapore island (Ubin, Sentosa, Tekong, Brani, Sudong included). Not Batam island. Referring to the old colonial estates. They reminded me of two people. Sara. An old girlfriend of mine whom we are still in contact till this very day. In fact, we just whatsapped last week. You have to thank the tech gods for the internet. Really. I remembered her leaving to read her degree in Australia. It was a time of 25-cent aerogrammes and there was a cassette tape, in there somewhere, of me talking a lot of kok. It was the first ever podcast in the world. It was her birthday today. Happy birthday, Sara! Victor. My secondary school classmate from Sec 2 to 4. He is a Filipino and again thanks to the internet (Facebook to be exact this time), we are still in touch too. I remembered us going to the record store one day in 1987 where he bought his first ever vinyl single. It was Looking For A New Love by Jody Watley. I remember coz I still have that vinyl with me. The strange thing back then coz he did not own a turntable and so it baffled me as far as the purchase was concerned. He bought it and insisted that I take it home with me so that I can record it into a cassette tape for him. If I may remind you, it was a single. Not an album. In other words, he paid SGD 13.00 (SGD 3,495 in today's money) for one song to be recorded into a cassette tape. Well, I still have the vinyl in my storeroom back in Singapore. If we even meet up again (he is back in the Philippines), I would be happy to return it to its rightful owner. I also recalled reading in the news that a horse broke out of the stables and went galloping along Eng Neo Avenue. That escapade was cut short when it ran into an oncoming BMW. So anyway, the link above is the Kindle link to the book which I enjoyed very much. I finished it in one sitting. Go buy and read it if you know what Zoo 101.6, Roger Kool, vinyl singles, cassette tapes (auto-reverse ring a bell?) and aerogrammes are. JY: It's kinda hard to describe this in words. Perhaps if you try sticking a bit of your tongue out and blow air out with bits of saliva spraying. Aiyah.... next time I see you, I show you lah.